The Third Mansion – the majority of Christians stay in this mansion because of too-human prudence. 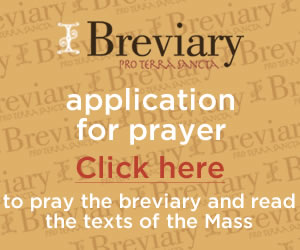 Prayer in this stage includes active recollection, simplified mental prayer, and becomes more the work of the heart – St.Teresa calls this the Prayer of Simplicity. The prominent Gift of the Spirit is Fortitude. Ascetic exercise, penance, and meditative prayer are essential, for we must do everything we can to get to know the humanity of Christ, using our imaginations so that we grow in our love for Jesus as we understand His love for us. Many enter the Third Mansion, but very few leave it.